Are you looking for and adventure or river cruise during your Budapest Holiday? 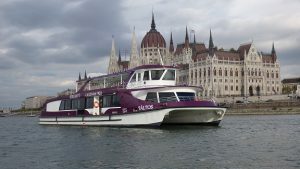 Visit our Budapest Boat Tour where you can spend 80 minutes with Budapest sightseeing cruise. While you see the most beautiful city you are able to have a sandwich or pizza,hot dog on the board that you can enjoy with unlimited consumption as well! Theatre- Entertainment-Sightseeing and Dinner. This is that we offer for our costumers while they have dinner on our cruise! 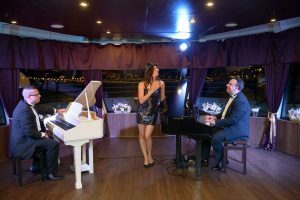 During your trip our pianist are playing international songs from oldies to today’s songs! Show- Tradition- Gastronomy – River Cruise. 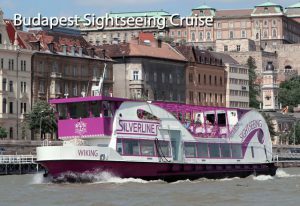 Find the most popular Budapest entertainment on Silverline Boat,while you have holiday on Budapest. Taste Hungarian food and wine! Lunch – Breakfast – Dinner! It does not matter! 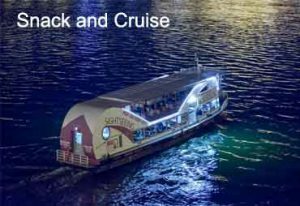 Snack and drink cruise are ready to serve you, come and enjoy with your friends or family! You can see every popular places from the capital city! 80 minutes cruise with Audio Guide! 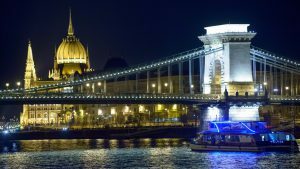 Join us for a 80-minute budapest river cruise by the end of which you will become well acquainted with all that Budapest can offer. 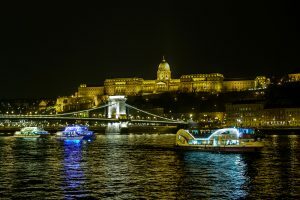 The Hungarian capital is known to be one of the most sought after European cities of the world, and give the number of historical landmarks and the majestic river side of the Danube, it is no wonder. 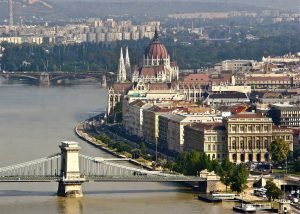 Nowadays it is simply unimaginable to visit Budapest without partaking in a river cruise on the Danube. Europe’s second longest river crosses Budapest elegantly, making the two sides appear to be completely different. Buda is the smaller, considerably more sophisticated part, flaunting many attractions and sightseeing hot-spots. Whereas Pest is the flagship of Hungarian entertainment and nightlife. Not to mention the numerous landmarks and sightseeing worthy buildings and monuments that the larger part sports. Budapest witnessed many historical events and was clearly effected by them as well. The city’s history is rich in tales and legends that yearn to be heard. And what is a better way to learn about these tales than cruising along river Danube on a sightseeing boat? The Great Market Hall: The ultimate hotbed of shopping and sightseeing. Liberty Bridge: This green giant turns into a pedestrian bridge during the summer and walking across it truly makes for a great sightseeing experience. Not to mention sailing under it. Sign up for this exciting, educational and simply fun sightseeing cruise to explore the Hungarian capital. Tickets are valid for 48 hours and can easily be upgraded to our Pizza & Beer cruise, with a pizza and unlimited beer.